Hercule Poirot and Suchet Family Supported Before Inca Trail Trek to Machu Picchu! The Environmental Extremes Lab (EEL) hosted the Suchet family, including John (newsreader and musical host on Classic FM) and David (Hercule Poirot) Suchet, on the Saturday 17th March ahead of their trek two weeks later to the iconic and breath-taking Inca city of Machu Picchu. In collaboration with local altitude awareness charity, Para-Monte, Dr Neil Maxwell, Gregor Eichhorn (PhD student), Mel Stemper (recent MSc graduate) and Josh Pennick (current MSc student) carried out altitude screening on the six members of the Suchet family, before Neil provided education around altitude illness and ways to prepare for the trek to make it enjoyable but also safer. Para-Monte is starting 2018 off with exciting news of the Agoncagua climb by Matt Shore, one of the participants of our Environmental Extremes Lab Para-Monte funded altitude tolerance study. Matt is a Personal Trainer and with three of his friends, will attempt to climb this highest mountain in the world, outside the Himalayas, starting his expedition on 5 January 2018. 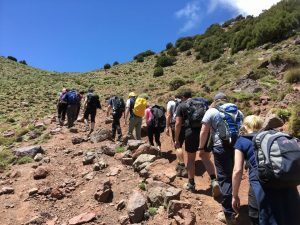 Matt, like others, has also been instrumental in the Paramonte Altitude Study being carried out by the Environmental Extremes Lab at the moment. 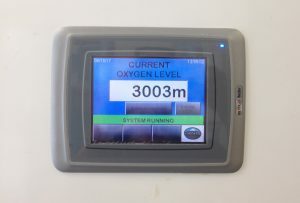 He was able to take part in the 8 hrs hypoxic chamber test to find out his susceptibility to simulated altitude, which will be very important for his expedition. 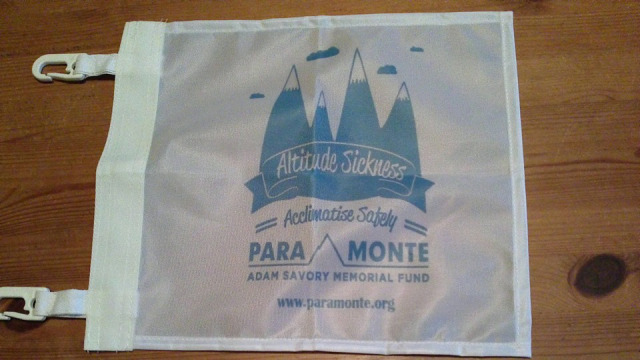 Upon reaching the summit, he plans to hold a Para-Monte flag which will be a great endorsement for the charity and what it is doing in terms of altitude awareness. Congratulations to Matt for taking on this challenge, for helping raise altitude awareness and of course we wish Matt and friends every success!! You can follow his progress via daily videos or follow Matt on the following link. 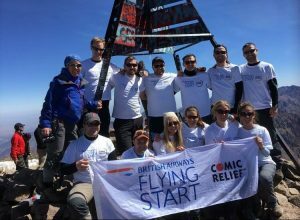 The Sport and Exercise Science Consultancy Unit (SESCU) and Para-Monte have recently supported six members of staff from British Airways prior to their climb of Jebel Toubkal (4167m) in Morocco for Comic Relief. 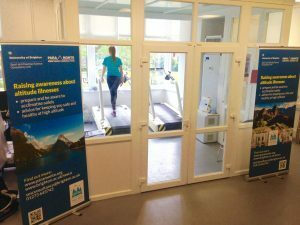 They visited the lab and performed an Altitude Screening Test in the hypoxic chamber, which is able to simulate the effects of high altitude through reducing the oxygen levels compared to sea level. 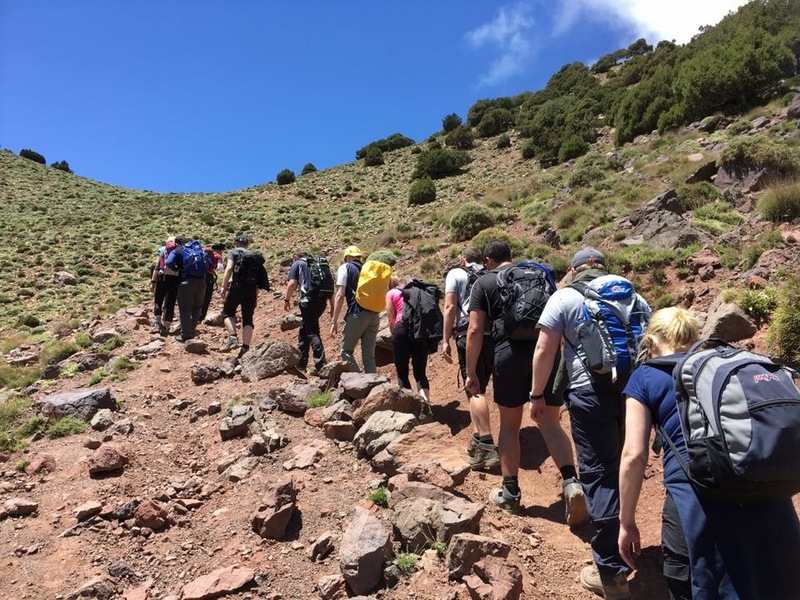 The chamber was set at 3000m whilst they walked at 5km/hr and at a 10% incline, with various measures being taken throughout. This included the Lake Louise Questionnaire which assesses the presence and severity of Acute Mountain Sickness (AMS) through an individual’s self-reported score on five symptoms: headache, gastrointestinal symptoms, fatigue and/or weakness, dizziness/light-headedness and difficulty sleeping. The LLQ scores showed that four of the individuals were at low risk of AMS, however one was at moderate risk and one was at high risk. Oxygen Saturation was also measured which is the percentage of oxygen in the blood that has bound with haemaglobin. Oxygen saturation declines with altitude as the atmospheric pressure deceases, however the rate varies considerably between individuals. Comparing the oxygen saturation drop to previous data indicated that five members of the group were at low risk of AMS and one was at moderate risk. SESCU and Para-Monte also provided the team with equipment to use on their trek to assess their physiological responses to altitude and their risk of AMS. They found that those who presented the highest risk of AMS in the Altitude Screening Test also presented the highest risk on the trek. 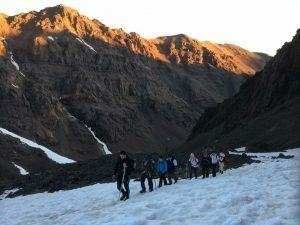 The whole team managed to reach the summit safely and no-one reported any severe problems, nor required medical support. They believed the information they had received during the screening had implanted the self-awareness to slow down, break, take on fuel and water and slowly ascend. 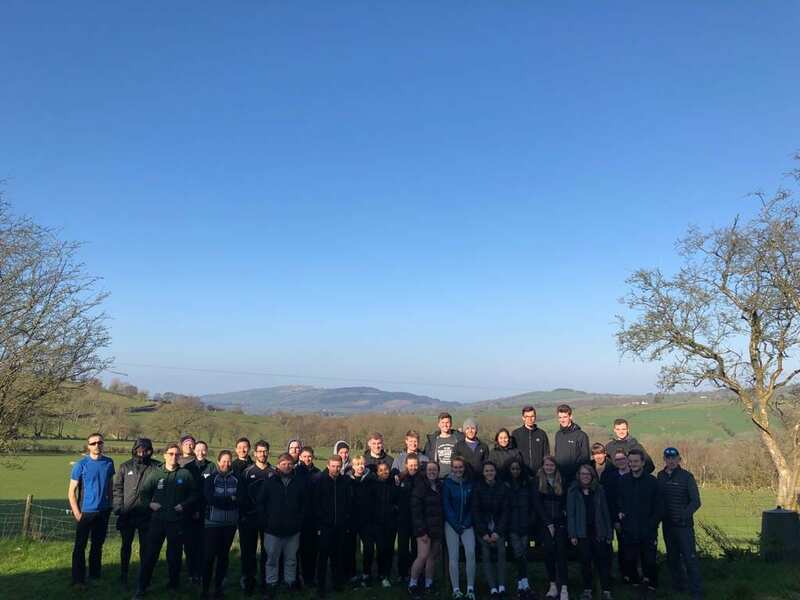 The Sport and Exercise Science Consultancy Unit (SESCU) have started their initial support programme with Hampshire Scout Expeditions (HSX) in their attempt to ski to the South Pole then kite ski back, a total distance of 2,300km. The team of scouts visited the Welkin Environmental Physiology Laboratory, where Ash Willmott and Dr Mark Hayes tested them for baseline health measures and cold response screening tests in -20°C. They also took a dip in the ice tank to replicate the conditions they may face during their challenge if the unthinkable was to happen! The HSX challenge involves skiing 700 miles from Hercules Inlet at 80° South, to the South Pole in 60 days. On the return journey, the team will exploit the prevailing winds and kite-ski back the way they came in 20 days all while being completely unassisted. The team is undertaking this to not only challenge themselves but to raise funds and awareness for the charity MND – Motor Neurone Disease. Find out more about the HSX challenge.